Today, the bearish performance of the local bourse continued into the fourth consecutive trading session on the back of losses in DANGCEM (-0.5%), ETI (-3.3%) and ACCESS (-4.3%). As a result, the Benchmark Index fell by 39bps to 29,553.12 points as YTD loss worsened to -6.0% while market capitalisation fell by N43.4bn to N11.1tn. In line with today’s performance, activity level worsened as volume and value traded dipped by 8.1% and 48.9% to 498.8m units and N2.9bn respectively. 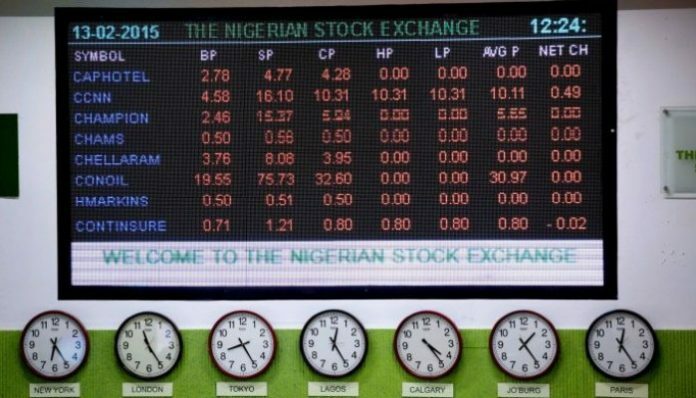 The most actively traded stocks for the day by volume were STERLING (124.8m units), CHAMS (114.7m units) and FBNH (55.4m units) while ZENITH (N653.8m), GUARANTY (N503.8m) and FBNH (N407.1m) led top traded stocks by value. Across sectors, performance was largely bearish as 4 of 5 indices under our coverage closed in the red. The Insurance index declined the most, down 2.5% as losses in REGALINS (-8.0%) and MANSARD (-7.3%) dragged the index while the Industrial Goods index trailed, inching southward by 0.5% following price depreciation in CAP (-9.9%) and DANGCEM (-0.5%). Similarly, the Consumer Goods and Banking indices fell 0.4% apiece due to sell-offs in DANGSUGAR (-3.2%) and UNILEVER (-2.0%), ETI (-3.3%), ACCESS (-4.3%) and WEMABANK (-4.1%). On the flip side, the Oil and Gas index extended its gains into another trading session following sustained buying interest in FORTE (+9.9%) and OANDO (+3.1%). Investors sentiment as measured by market breadth (advance/decline ratio) strengthened to 0.6x from yesterday’s 0.3x as 11 stocks advanced relative to 19 stocks that declined. The top performing stocks were CHAMS (+10.0%), FORTE (+9.8%) and VITAFOAM (+7.8%) while the least performing stocks for the day were CAP (-9.9%), UNITY (-9.3%) and ETERNA (-8.0%). We do not expect this negative performance to persist in the final trading session of the week as we anticipate that investors will take advantage of the attractively priced stocks.